Advanced teacher training can be cumbersome. We want to engage you with useable, meaningful, actionable education now. 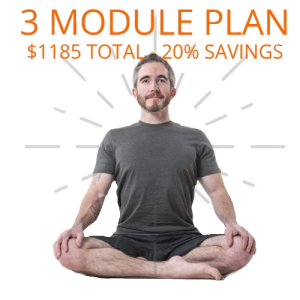 This week is one of many modular trainings in the 90 Monkeys Advanced Teacher Training Curriculum. 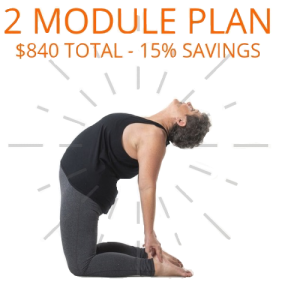 Join Amy in Colorado for our famous yoga therapy training! 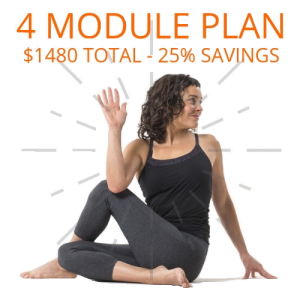 This dynamic and intimate 4-day training is dedicated to learning how to serve students with limitations and special needs in the company of other high-level yoga teachers under Amy’s caring eye. Safety and individualized attention are becoming less and less emphasized in many yoga classes, while all-levels, athletic classes are becoming the industry norm. We want to make yoga accessible to all those who wish to benefit from this extraordinary practice! This training gives you the tools to stand out as a teacher who can speak to many populations, effectively address student’s physical limitations, provide compassionate solutions for students with injuries, and teach full group classes as well as private sessions with more empathy, expert skill, and confidence. How to holistically address common injuries in areas such as the neck, rotator cuff, lower back, sacrum, hips, knees, and feet, and conditions such as tendonitis, carpal tunnel syndrome, and more. Do asana practices tailored to integrate alignment and form into your own bodies as well as learn tools to teach others the same. Learn how to apply therapeutic hands-on adjustments on each other in order to help students and private clients. Meet and make fabulous friends! Enjoy the views of the Flatirons, fantastic restaurants, and great people in Colorado!